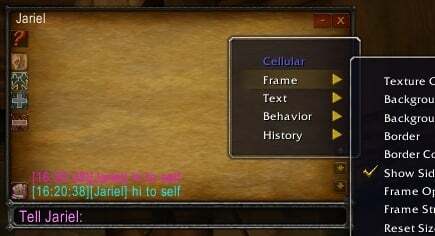 Cellular is an instant messenger mod (for only whispers) based on the functionality of an old version of ForgottenChat. If you have history enabled and notice that Cellular is using a lot of memory, you should cleanup your history entries using Cellular's history options. If you're experiencing crashing due to memory errors, disable and clear your history. - closed the whisper with escape would be very nice..
Last edited by Pief235 : 11-12-16 at 12:36 PM. Glad this was updated. Any way to be able to click links tho ? My bad, I mean in the sense of clicking on the link and getting a copy/paste window of it to make it more convenient. TLDR: Here's an example of the fixes, or this is the updated core.lua file. Ty man, really happy you fixed it! Last edited by Pilate : 11-02-16 at 07:13 PM. 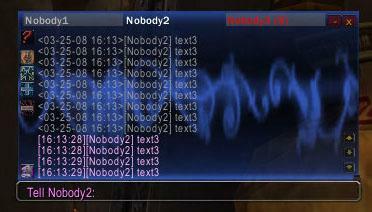 As of 7.1, when I get a whisper, Cellular pops up, but I'm also getting a chat whisper window. The subject says it all - will this be updated for Legion? I used it on PTR. Seems okay, but I only sent a whisper to myself. Anything else I should know about chat changes for legion?